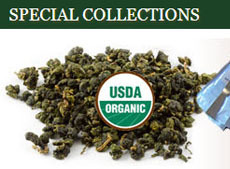 There is a big marketing push among tea vendors to promote “wild” tea over cultivated tea. The problem is how to distinguish one from the other. As a vendor, I thought a bit of digging (among the various fonts of tea knowledge) was in order, and that journey was quite enlightening. This whole thing started with someone on Twitter who swore that a “wild tea” I had commented on wasn’t wild, that the tea plant/tree had to be at least 100 years old and basically uncultivated (not pruned, irrigated, or otherwise aided in its growth by the hand of man). Was he right? Certainly seemed logical (except for the tree age), but a bit of further investigation and comparing with other tea “experts” was needed. Wild Tea is a plant 2-5 m tall. Branches are slender, 3-angled when young. Leaf blade is grayish green, 1.2-6 × 0.6-2 cm, leathery, sometimes wrinkled on both surfaces. Leaf tip is pointed, cusped or rounded. … Flowers are about 4 mm in diameter, with 3 petals, yellow or green, sometimes flushed brown, about 1.5 mm long. … Fruit is round or pear-shaped, 4.5-10 mm in diameter, orange to red when ripe, drying pale blackish. Flowering: April-June. I don’t think this is what the tea supplier whose product I was sampling meant by labeling their tea as “wild tea” nor what the person on Twitter meant when he said the tea was not wild. The vendor’s site said they were talking about abandoned tea plants that had grown without a gardener’s tender, loving care – uncultivated Camellia sinensis – that were now once again being cultivated properly. It seems that the whole “discussion” on Twitter was a proverbial tempest in a teapot, as the tea expression goes. 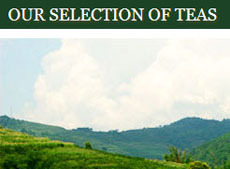 The “wild” tea was now being cultivated but not the same as those tea gardens we see online with their neat rows of waist high or shorter tea bushes. The “wild” tea I tried was quite delightful, but when compared to similar, “cultivated” versions, I don’t think the flavor and aroma were different enough for justifying some of the higher prices suppliers want to charge (we source from more realistic suppliers). In the tea world fads come and go. And tea trends are everywhere. Green tea diet pills. Pu-erh miracle elixirs. Teas of all kinds being called “artisan” (a key buzzword in the past few years). Now it seems to be “wild” tea. The appeal is to those who want something perceived to be special. And many of those teas are. You, the buyer, just have to buy from reputable vendors. Some teas are called “Wild Arbor” (we carry several shown above) where the tea leaf gatherers have a certain area they collect from. It’s not a real arbor, though. The wild plants are just there. For those who are real sticklers, I should add that technically someone climbing up the tea plant (which is more like a tree when it grows uncultivated) and plucking off the new leaves is a way of cultivating. You could say, therefore, that there is really no such thing as truly “wild” tea. But I quibble. For cultivated teas, larger leaves or smaller leaves or more natural sugars or other qualities have been bred into the various cultivars of Camellia sinensis from which most store teas are made. These are in response to the market (you, the consumer) demands and the growers wanting to offer something different. 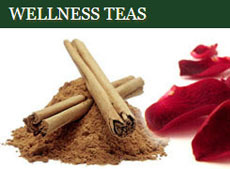 The “wild” teas will have whatever flavor characteristics are in the plant (bush or tree) they are from. You like what you like. There is, therefore, no absolute superiority. You will need to determine which you like best. This entry was posted in Wild Tea and tagged cultivated tea, Wild Tea. Bookmark the permalink. Added your blog to our List of Fellow Tea Bloggers. Thanks for reading! 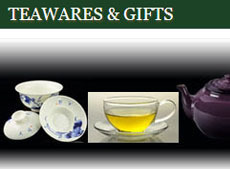 We sell The China Tea Book, btw. It’s super! Thanks for the add. Much appreciated.